The begin­ning of our com­pa­ny goes back to the year 1993 when the com­pa­ny Solid-Parkiet was found­ed under a dif­fer­ent name in a small back­yard and focused exclu­sive­ly on the pro­duc­tion of par­quet. The enor­mous cus­tomer-sat­is­fac­tion and the with this con­nect­ed nation­al and inter­na­tion­al growth in cus­tomer orders made the for­mer fac­to­ry quick­ly to small. 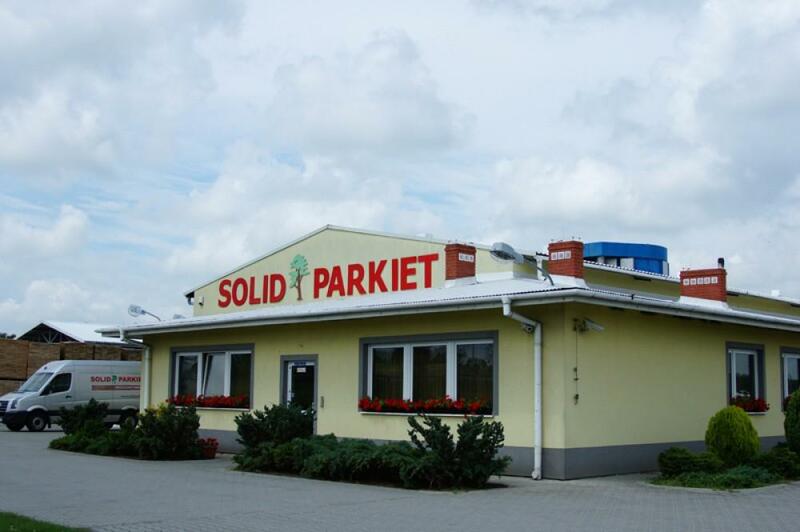 For this rea­son, there was in the year 2000 the open­ing of a new, mod­ern and big pro­duc­tion fac­to­ry in the, at that time new­ly found­ed, “Green Industrial Park” in Wojnicz, which is locat­ed only about two kilo­me­tres from the old pro­duc­tion plant. As we are a man­age­able, medi­um-sized wood­en-floor-com­pa­ny which is under fam­i­ly-run we are able to respond to any cus­tomer request indi­vid­u­al­ly. Our high­ly moti­vat­ed employ­ees are always able to give their best to ful­fill every cus­tomers request to their best. Each wood­en floor made by us is also unique and will nev­er repeat exact­ly the same way that we guar­an­tee you. We are always engaged to ful­fill all cus­tomer require­ments. For this rea­sons we man­aged it to expand our assort­ment wide­ly and there­fore we are not only able to fol­low any trends of the mar­ket. By coop­er­at­ing with design­ers and archi­tects from all over Europe we are able to score on the mar­ket with our own great designs. Let your­self be sur­prised by our wood­en floors and dive in to the world of Solid-Parkiet.